Do you miss me? I miss you so much! I would like to share an unusual and exciting thing with you. 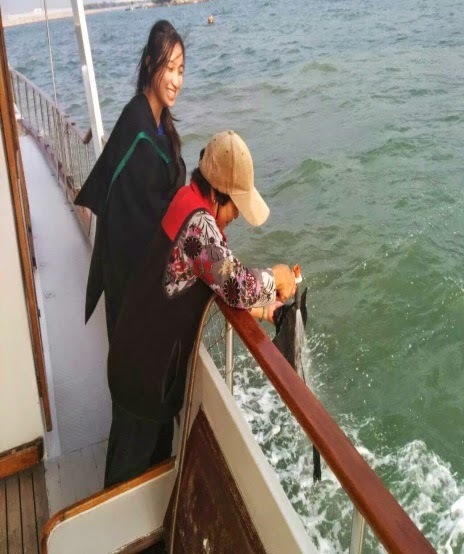 On Monday evening (17 November 2014), Yuki and I wore the graduation gown for taking photos after finishing the boat survey. We did take a lot of photos to track our wonderful moment. Unexpectedly, a piece of amusing thing happened on me. 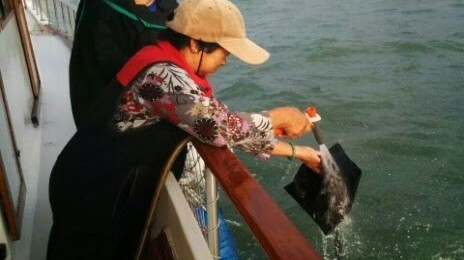 It is interesting that a strong wind blew my graduation hat away at sea. 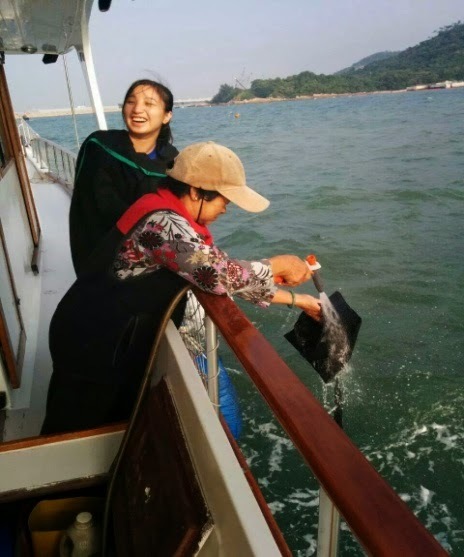 Thanks Mrs Ng (our boatman’s wife) for picking my hat up from the sea and washing it. Was it big joke! Haha…. Also, I would like to say thanks for Heyman who were taking those funny photos for me at such straight moment. Without a doubt, it would be an impressive and unforgettable episode in my life. I hope all my friends (including you) would have a smiling face when seeing my pictures below. ← What a joyful week!